Organizing a wedding is an overwhelming task. Now that I’ve been through it I can confirm it. Since I like a good challenge, bonus points to me for organizing a wedding in Stockholm while living 200 Km away. 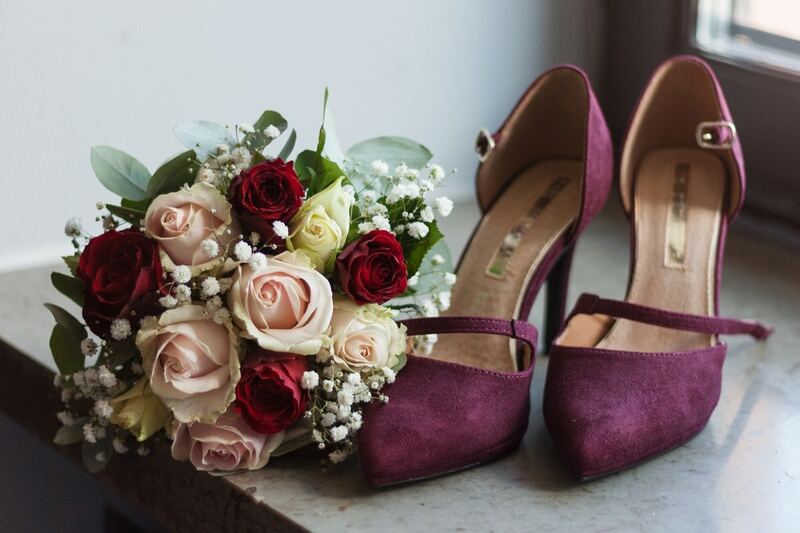 When you are a control freak thrifty at heart like me, hiring a wedding planner is not an option. So around a year before the actual date I set the wheels in motion and started planning my Stockholm wedding on my own. 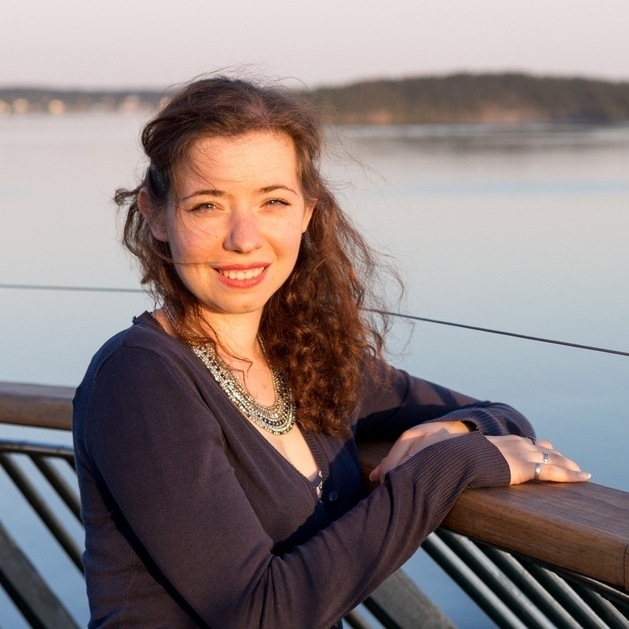 Here are some tips from my experience as my own wedding planner in Sweden. Ever since we got engaged in the summer of 2017, both my husband and I knew one thing: we wanted to get married in Sweden. 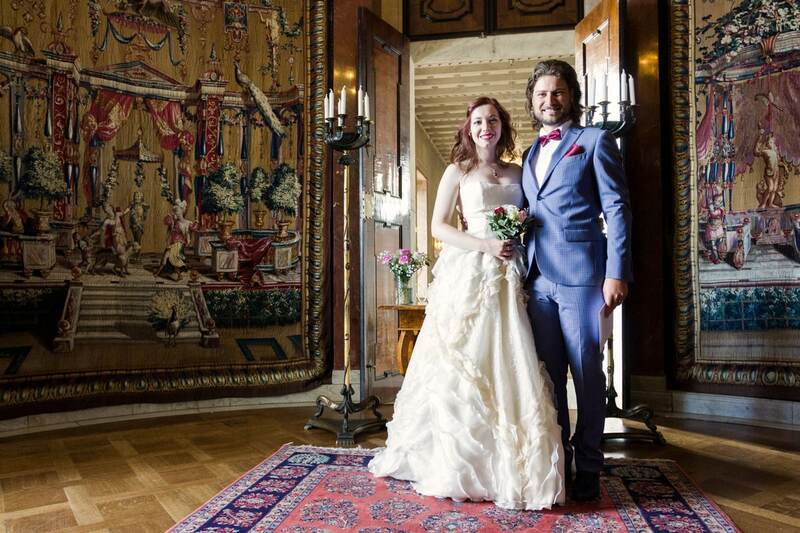 We’ve been living in Sweden for 4 years and we love it here, so it just felt natural to tie the knot in this country. Despite both being Italian, we come from two different cities that lie 700 Km apart. Plus, half of my family is in Poland and half of my husband’s family is in the Seychelles. On top of that, we have friends all over the world that we wanted to invite. Any location would have meant making a whole lot of people travel, so we just decided to get everybody to Sweden. Stockholm makes for a fine background. We agreed almost instantly that we would have our wedding in Stockholm. There are many reasons why we feel that Stockholm is a special place to us and I have written about that in this post. So we started exploring our options for our wedding in Stockholm. We had considered getting married in Dalarna, the region where we live. We had even looked into some places where we could have our wedding reception here. Having our wedding in Dalarna, though, meant an extra three-hour train ride from Stockholm and much more limited accommodation options for our guests. So we stuck with our original plan and decided for Stockholm. If you’re having a wedding where most of the guests are coming from abroad, pick the place that is easiest to travel to. 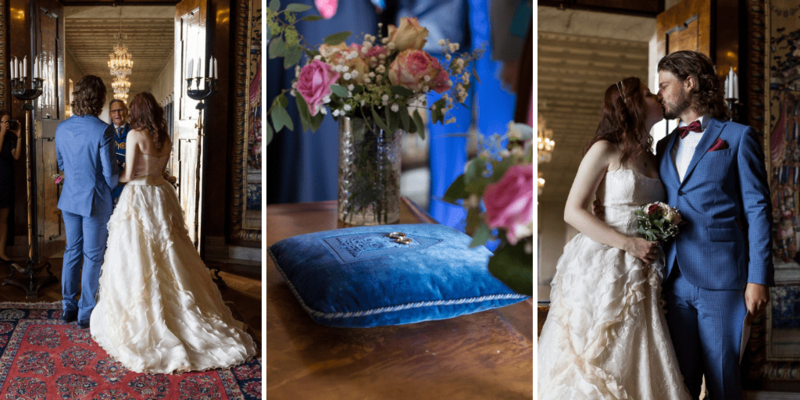 Wedding ceremonies at the Stockholm City Hall are performed every Saturday between 12:00 and 18:00. Weddings are held in the Oval Room and each ceremony lasts about 5 minutes; after that the wedding couple can proceed downstairs to take photos and meet their guests. The Stockholm City Hall serves you all the information regarding weddings even in English on their website. Organizing a civil marriage in Sweden is a fairly easy procedure. First, you need to book a time and date for your wedding at the desired location (in my case the City Hall). The next step is to request a document from the Swedish Tax Office. This document is a certificate of no impediment; once issued, it needs to be forwarded to the City Hall. Upon reception of said document, the City Hall will confirm your booking. Then you can just go and get married on the time and date you’ve chosen. It all sounds pretty simple. 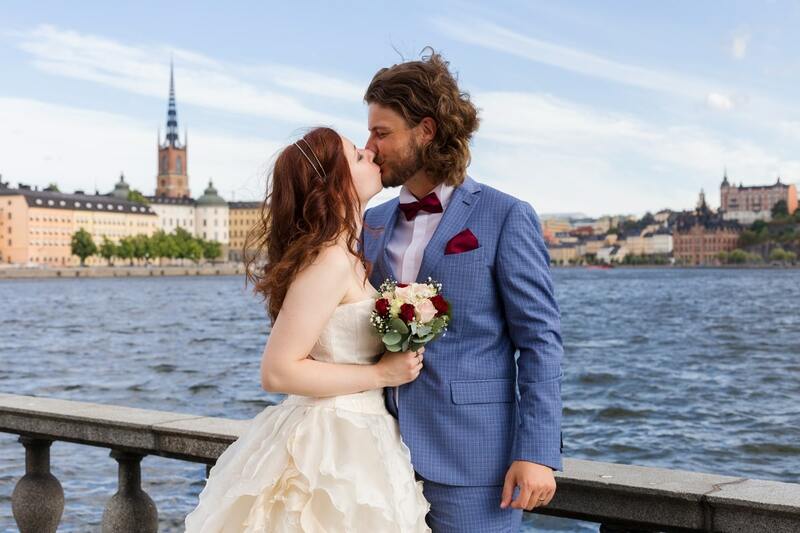 In order to get married in the City Hall of Stockholm, you need to create an account on this website and select a 5-minute slot on the day that you wish to get married. Generally the first available date is about six months away. I created an account and booked my slot for the 11th of August at the end of October the year before. Your chosen slot will appear as “selected” and will turn into officially “booked” only when the City Hall will receive the certificate of no impediment. This certificate can be requested no earlier than 4 months before the wedding date. As both my husband and I are registered as living in Sweden and both with a civil registration number from the Swedish Tax Office, requesting the certificate of no impediment was a fairly easy procedure. Still, having to wait until April 11 to request that form was getting me nervous. Once we chose the date and time slot, I had proceeded sending the invitations to our guests. I was terrified that 4 months would not be enough to perform all the due checks and get the precious certificate issued and the date officially confirmed. One day I called the Tax Office and asked what if. What if it will take more than 4 months since we’re not Swedish? At that point I had already paid my deposit to the reception venue and some of my guests had already booked their flights. The lady from the Tax Office said not to worry, it will not take that long. All the significant checks had already been done when we applied to register in Sweden. Now it was just a matter of double checking that we were neither siblings nor currently married to someone else. Easy peasy. She was right. Within two weeks from the application I found my certificate of no impediment in my mailbox. We mailed it further to Stockholm and a few days later we got a confirmation email that our time slot on August 11 had been confirmed and it was now officially booked. Now it was just about getting there 15 minutes earlier on the wedding day to register our witnesses and, well, get married! The website of the City Hall warns that the Oval Room is quite small and they limit the amount of people allowed to attend to 15. We were not excited about this, but it was a condition that we could only accept if we wanted to get married in the Stockholm City Hall. In the wedding invitation we wrote that only witnesses and close relatives would be allowed in, asking our friends to have patience and just wait 5 minutes outside. We had a total of 60 guests and half of them arrived before the ceremony. When we went in to register our witnesses we asked if we could have 35 people attending. They let them all in. I can’t vouch that this is normal practice, maybe we were just lucky but we got to have more than 15 people attending our wedding in the end. Stockholm is not that far away from where I live, but it still takes a three-hour train ride to get there. This means that also the hunt for a venue to have our wedding reception needed to be done as much as possible online. I need to thank my friend Pernilla for helping me get started by introducing me to the website BokaLokal. This is a search engine that will search for available venues all over Stockholm. 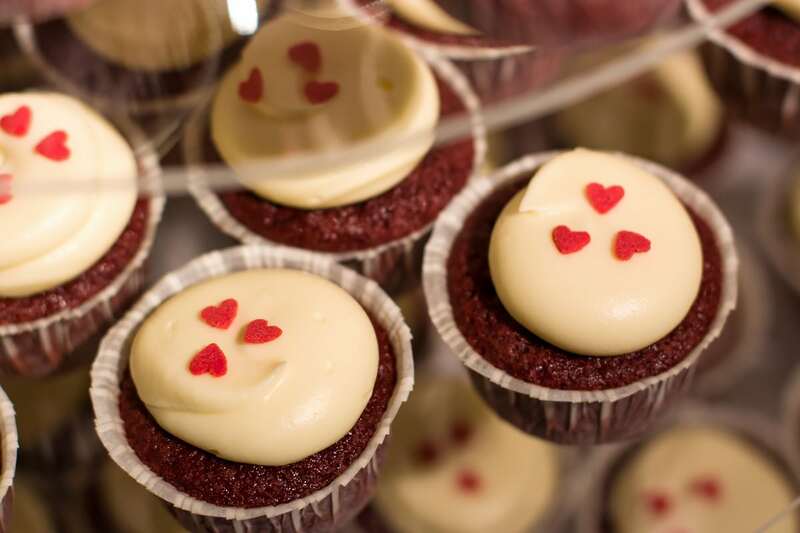 You just need to add your dates and check some filters, like if you only need to book a venue, if you want them to provide only the food, or food and drink, and add the number of guests. I was looking for a place that would accommodate around 70 guests and that would provide the food but allow me to bring my own alcohol. Preferably in the city centre or somewhere with easy access to public transportation. The system reaches out to the venues that match your criteria and you get emails from them. Around 30 venues reached out to me with a proposal and I spent a couple of days checking out every single place that had written back to me. Some were out of budget, some were not our style, others were simply too far. In the end three places caught my attention. I emailed back those three to ask if they were actually available for a wedding reception on August 11 the following year. They all were, so I made arrangements for a meeting with my favourite of the three, Stockholmsbit. I travelled to Stockholm to go and see the place in person. Since my then-fiancé could not take a day off, I was happy my friend Eleonora was able to meet me in Stockholm and go with me. 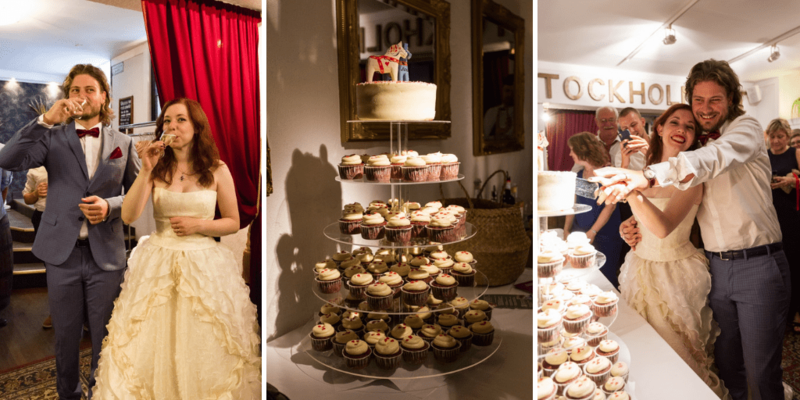 Stockholmsbit is an event and catering company that runs a venue called Festlokal En Trappa Ner. En trappa ner literally means downstairs, one flight of stairs down, and the venue is in fact below street level in the cellar of an old building from the 1800s. 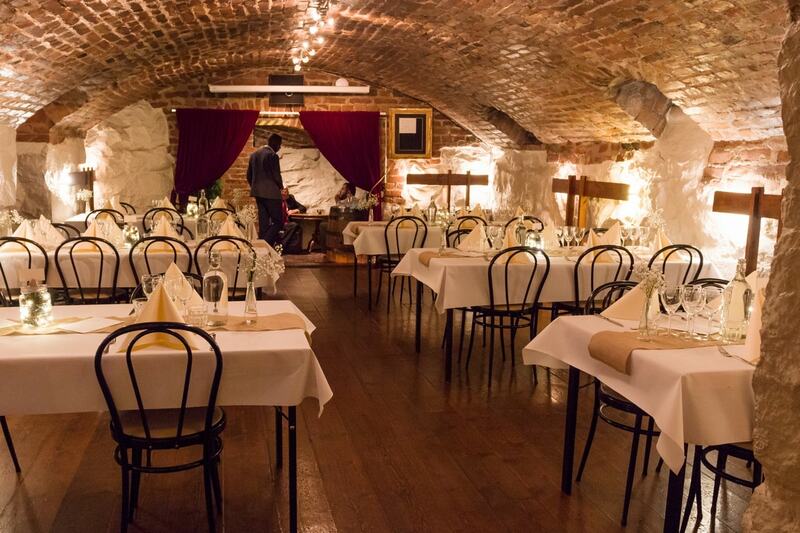 Stone and brick walls, low arched ceilings and wooden floors: a cozy combiation for an intimate small party. 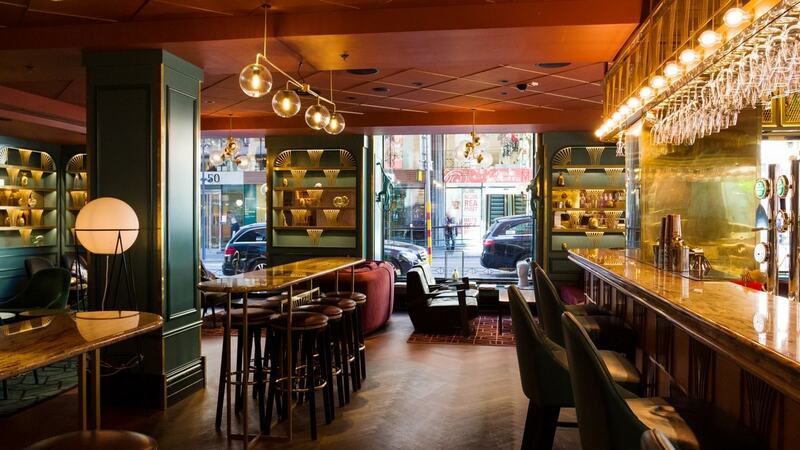 The venue is on Kammakargatan 48, just 1 Km away from the Central Station and at walking distance from the hotel where I was planning to stay (read more below). The location couldn’t be more perfect. My friend and I were warmly welcomed by the host, Torkel, who showed us around then sat down with us to go through the price list. I was not comfortable speaking Swedish a year ago, so we went through all the organization process in English and that was a bonus point. We had a modest budget for our wedding reception, but this venue allowed us to pick only the foods and services we wanted. We were also allowed to bring our own alcohol and cake. I returned home that evening and showed all the papers to my fiancé. The place was pretty, the location perfect, the host accommodating and it looked like it perfectly fell within our budget. I didn’t even need to travel to Stockholm to check out the other two venues, I chose Stockholmsbit. The rest of the organization process happened by email. We sent our deposit by bank transfer and discussed all the details in writing. Everything from the choice of the menu to the final budget, from the decorations to informing about dietary requirements of our guests went absolutely smooth. Torkel would answer my emails even when he was on holiday. I’ve always felt very taken care of throughout the process. We finally met again 10 days before the wedding, when we travelled down to Stockholm for the very final arrangements. Ever since we set our hearts on Stockholm as our wedding destination, I had this minor obsession with a hotel I had discovered on a previous trip to town. Haymarket by Scandic is a wonderful 4-star hotel located just one metro stop away from the Central Station (so close you can easily walk) on Hötorget square. A signature hotel from the Scandic chain, it is known for its art deco interiors that hint at the Roaring Twenties. Seriously, when I saw the hotel bar from the square I thought it was the setting of the Great Gatsby. So shiny and coulourful and beautiful. My idea was to ask if it would be possible, as hotel guests, to take our posed wedding pictures around the hotel. The receptionist said it was absolutely no problem, I just needed to get in touch about a month before the wedding to remind them about this and to set a time for the photo shoot. Well, in the end after that trip to Stockholm I had seen all I needed to see. 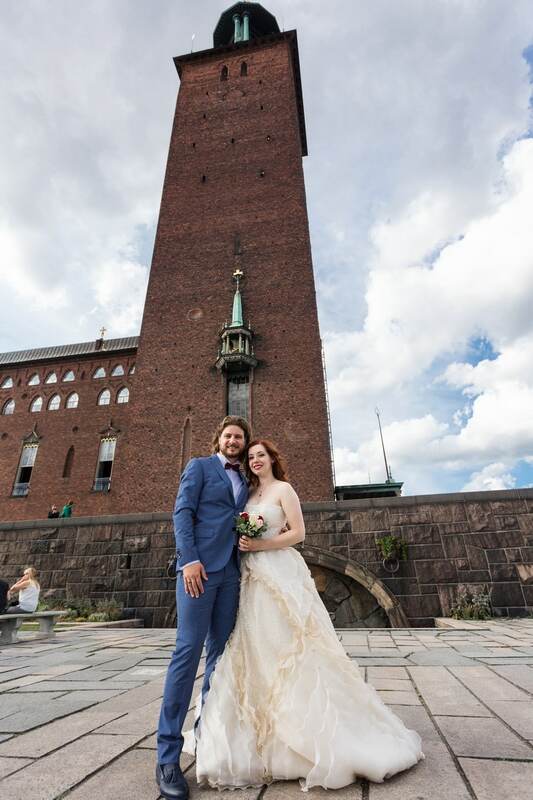 I really wanted to take my wedding pictures at that hotel and we needed a place to stay in Stockholm, so this just sounded like an excellent idea. Booking our room several months in advance we could take advantage of a lovely early bird discount. As promised, a month before the wedding I emailed the hotel to inform them that I would like to take our wedding pictures there. I got a reply from the hotel’s lifestyle concierge about the best times to be in the lobby and bar. I planned the photo shoot around 11:00, we had time until the bar opened at 14:00. Just like I had dreamed it, the red-carpeted lobby and velvet cocktail bar sofas became the props of our posed wedding photos. 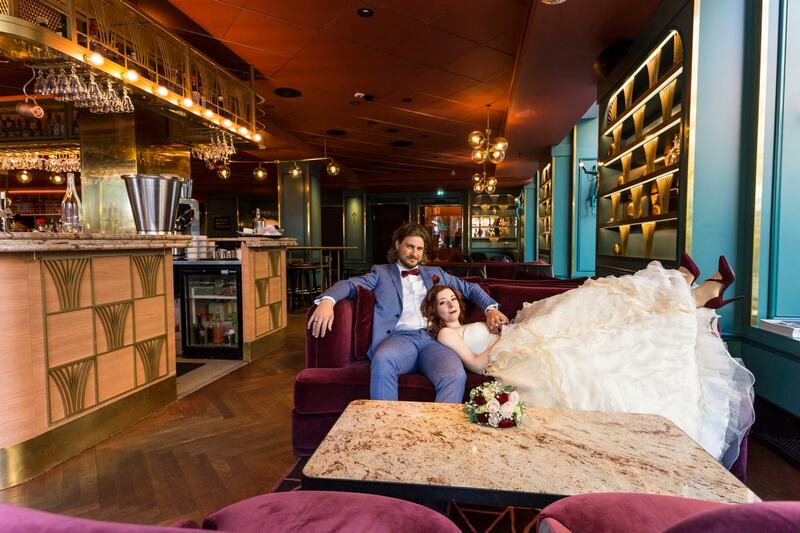 Check out the complete wedding photo shoot at Haymarket by Scandic. The hotel was perfectly located between the City Hall and the venue En Trappa Ner. It was the perfect place to have our base that weekend. We had guests coming to see us before and after the wedding, and we would just lounge in the bar with them. To our delight, at check-in we got a lovely surprise: an upgrade on the room we had initially booked. They placed us in a spacious room with a view on the square. Since our room was always full of people in the end – well, mostly my mom and maid of honour, really – this generous act of kindness from the hotel staff actually proved very convenient. From the very start, it was my resolution to keep the budget low. Well, “low” per se is nearly impossible when organizing a wedding in a place like Sweden – not the cheapest of all countries. There were many aspects that helped us save some money, though, and through proper planning you can really keep the costs down. We chose a reception venue that allowed us to bring our own alcohol, and that cuts costs significantly. I took care of all the table decorations – I love small DIY projects and I even involved my dad in the restoration of an old window to make the seating chart. We bought flowers from the street market right in front of the hotel (bonus points to Haymarket for that!). We sent online invitations, sparing a lot of paper and mailing costs. I bought my shoes from Zalando. My husband’s grandma coloured my hair a few days before and my maid of honour styled it on the wedding day. We made two playlists on Spotify and played that during the reception instead of having a DJ. Last but not least, I was lucky to have two friends take care of the photos. This is the one thing that everybody discourages from saving money on. Your wedding day is a whirl of emotions and in a matter of hours it’s gone. The photos are the true memories that stay from that day. So it is important to make sure to have a trusted photographer take up this big responsibility. You don’t need to hire the most expensive photographer out there. But make sure it’s someone you trust. As I said I was lucky I could ask this immense favour from two friends of mine. (And I couldn’t stop myself from directing the photo shoot either.) This way I also managed to save some money on that, and I’m in love with my Haymarket photos. 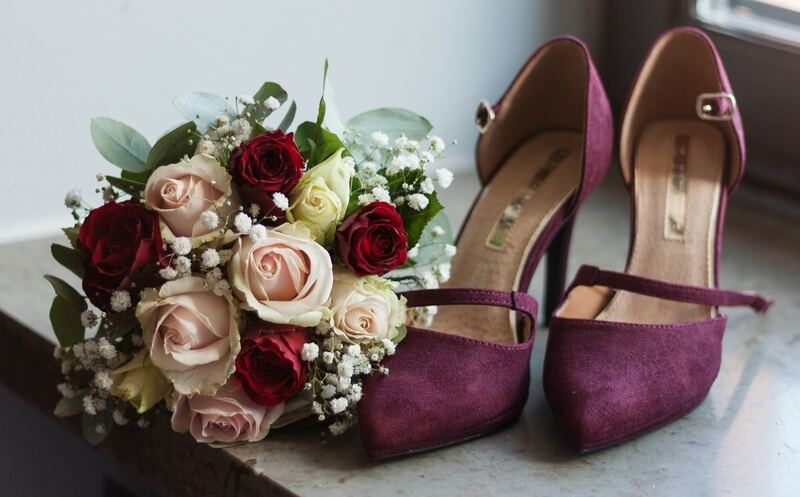 In the end, organizing a wedding is an enormous task. 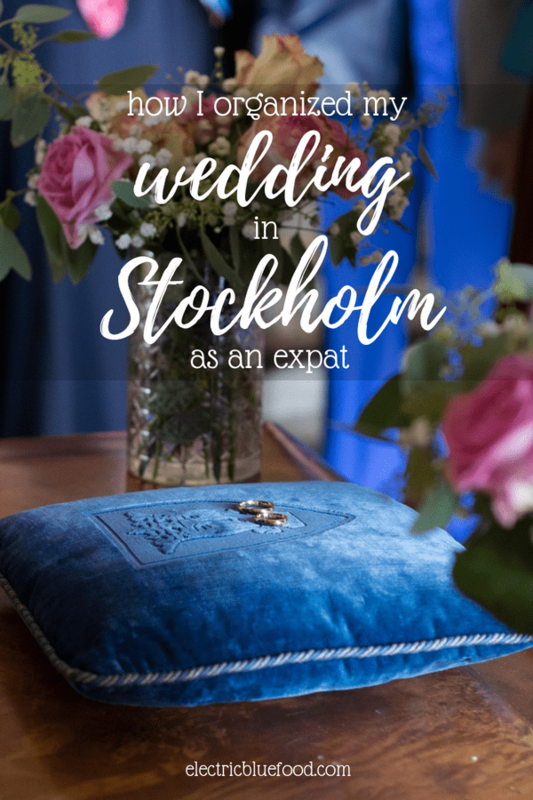 Although I live in Sweden, I had no experience whatsoever about weddings in Sweden so in many aspects it felt like organizing a wedding abroad. Plus, not living in the actual place where we got married sure made everything even more difficult. I dedicated many days to this and I was able to do it because I was not working full-time when I started with the organization last fall. I put a lot of passion and got a lot of help from friends and from my family. I can’t say we spent very little money on this wedding, because clearly a dinner for 60 people in Sweden does have a cost. But we still managed to have a fabulous wedding in Stockholm spending way less than the average that gets spent on a wedding. And I’m very proud of that because no more money could have bought me a better day.